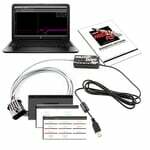 MEFI pro™ 1.1 software and MEFI pro™ 1.1 Polaris Slingshot software will let you save the existing MEFI™ programming inside your ECM, then transfer that programming to your personal computer or laptop, make changes to the programming, then save and transfer it back to the ECM with your changes. MEFI pro™ 1.1 software will let you see sensor data on the fly and save it for later use. 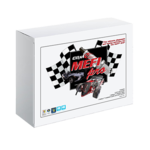 MEFI™ ECM Controllers are used in a wide variety of applications, including: Marine - MerCruiser, Indmar, and many boating applications Off-Road - Sand rails, Race Cars, Industrial Engines, and Crate Engines. MEFIpro™ is now available for the POLARIS SLINGSHOT.